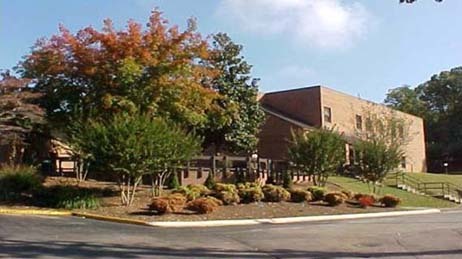 Parkridge Valley Child & Adolescent Campus, a 108-bed facility, exclusively treats children and adolescents with emotional and behavioral health problems. With separate and distinct programs for each age group, our individualized care plans make safety and crisis stabilization top priorities. Our acute children’s program treats patients from 5 to 12 years old. The acute adolescent program treats teenagers from 13 to 18 years old. Our services include medication management, supportive medical care, behavior modification, group therapy, activities therapy and family discharge planning. Parkridge Health System includes five Chattanooga hospitals - Parkridge Medical Center, Parkridge East Hospital, Parkridge Valley Hospital and Parkridge West Hospital. Our main campus on McCallie Avenue, Parkridge Medical Center, is an Accredited Chest Pain Center which offers 24-hour emergency care, comprehensive acute care services including cardiology, orthopedics, and oncology at The Sarah Cannon Cancer Center. In East Ridge, Parkridge East Hospital provides the best in obstetrical care with a Level III Neonatal Intensive Care Unit, 24-hour emergency care and surgical services that include robotics, orthopedics, and advanced gynecologic procedures. Parkridge Valley Hospital provides behavioral health services in two distinct campuses for adults and adolescents. Parkridge West Hospital serves the Jasper community with 24-hour emergency care, inpatient behavioral health services and outpatient services like radiology, laboratory, and physical therapy. Together, we are a family of hospitals. Chattanooga, Tennessee, a progressive centrally located mid-size city in the Southeast, has often been described as a city on the move. Noted as "The Scenic City" it is nestled in the heart of the mountains where the states of Georgia, North Carolina and Tennessee converge, within two hours of Atlanta, Birmingham, Nashville and Knoxville with an MSA population of over 540,000 residents. The city was named in the 100 Best Places to Live in 2014 and one of the 16 Best Places to Live in the US in 2015. Outdoor activities are abundant ranging from hang-gliding off Lookout Mountain, to floating down the Sequatchie River, to biking and horseback riding through the scenic countryside. If you are a water sport enthusiast, you will want to visit nearby Nickajack and Chickamauga Lakes or kayak/raft down the Great Ocoee River (host to the 1997 Summer Olympics). The area also has numerous challenging golf courses (Chattanooga plays host to the Provident Classic, a PGA event). Chattanooga city attractions include: the Tennessee Aquarium, IMAX Theater, Chattanooga Choo-Choo, Rock City, Coolidge Park, Ruby Falls, the Incline, the Creative Discovery Museum, Chattanooga Regional History Museum, Houston Museum of Decorative Arts, Hunter Art Museum, and Southern Belle Riverboat. The public school system in the area is very good - excellent local private schools providing unsurpassed educational opportunities. The University of Tennessee at Chattanooga offers a wide range of majors in undergraduate, graduate courses as well as medical education and The University of The South at Sewanee, TN is known worldwide for its excellent liberal arts program. This vibrant city blends "Big City" amenities with an ease of a smaller city offering: a friendly/safe atmosphere in which to live, easy commuting (excellent transportation infrastructure), moderate cost of living, $120 million revitalized riverfront, very active Arts Council, Museums and an extensive green way system. Tennessee is one of few states in the U.S. without a Personal Income Tax. East TN boasts a moderate climate with four distinctive seasons. While snowfall is normal in the nearby mountains, both snowfall and extremely cold temperatures are minimal in the area. The summers are typically in the 80’s and 90’s while Spring and Fall have warm days and cool evenings with vivid foliage and a great many clear, sunny days.